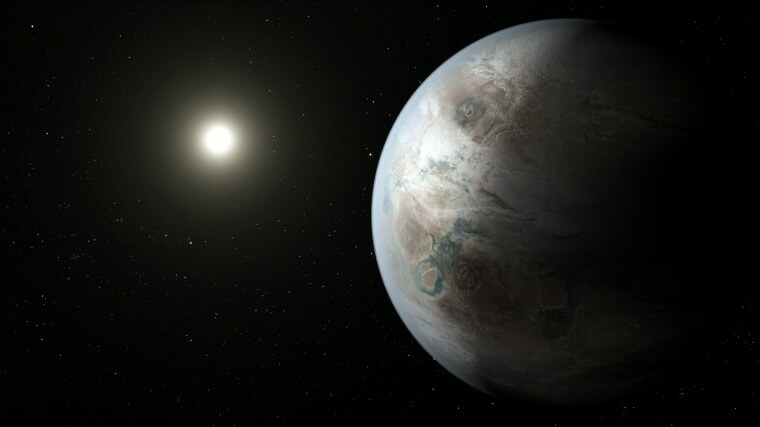 A new paper argues that any extraterrestrials we hear from are likely to have died out. So sayeth Leonard “Bones” McCoy, the plainspoken doctor in the original "Star Trek" television series, to Captain James Kirk whenever an alien croaks in their high-tech sickbay. Expired extraterrestrials have been frequent players in many sci-fi potboilers, and for obvious dramatic reasons. But how about entire alien societies? A research team under the leadership of French astronomer Claudio Grimaldi recently published a paper suggesting that any extraterrestrial civilization we discover is likely to be long dead. This possibility may sound bizarre. After all, how could we possibly tell whether a culture is still around when it’s hundreds or thousands of light-years away? In general we can’t. And yet there are reasons why Grimaldi and his team may be right. In fact, their argument is reminiscent of one I often hear in connection with the search for extraterrestrial intelligence (SETI). Since any alien radio message we might receive would have been lumbering through space at the finite speed of light — and since space is big — many folks assume that the signal must have been sent “millions of years ago.” The obvious corollary is that the alien broadcasters may have long since cashed in their chips. My response to this melancholy logic is to note that most of the star systems examined by SETI scientists are less than a few hundred light-years away. So a signal from one of these wouldn’t be a million years old. And since a few centuries isn’t really much time, I usually offer an analogy: It takes the postal service three days to deliver a letter from my aunt. But it’s unlikely that she died in the interim because three days is brief in comparison to the average lifetime of aunts. The new paper offers a similar argument, mathematically elaborated. The authors assume a simple scenario in which extraterrestrial societies spring up at random places in the galaxy at random times, and that they broadcast their talk shows (or whatever) into space. You can imagine these transmissions spreading like ripples across the plane of the Milky Way, reaching more and more star systems as time goes on. A further assumption is that at some point — due to unspecified events (including, one presumes, self-destruction) — the aliens’ transmitters go silent. So each alien society’s radio signature is like an expanding doughnut, with an outer boundary representing the moment their transmissions start and an inner boundary defined by the moment they stop. Now if your average alien society lasts for a long time — say more than 100,000 years — then its signals can cover the entire galaxy while the aliens are still with us. If this is a typical situation — if Klingon cultures have staying power — there could be many transmissions wafting over the Earth from societies that are still extant. On the other hand, if the lights go out for most societies relatively quickly, then most signals reaching Earth now or in the immediate future are likely to be from aliens who are dead. If most civilizations transmit for 10,000 years (we earthlings have been transmitting for roughly a century), then 99 percent of all the signals washing over our planet are from expired, or at least silent, societies. So yes, a SETI detection might come from a fossilized culture. But it’s fair to ask, “So what?” Would we care that the aliens are gone? Obviously, back-and-forth conversations would be out of the question. But conversations would be tedious anyway if the aliens are as much as 100 light-years distant. And besides, I read Julius Caesar in high school Latin class, and it was interesting even though the “message” was 2,000 years old and the Roman Empire was dead. If we were to receive a message from aliens, the big news wouldn’t hinge on whether we were able to converse with them. It would be simply that someone else was out there. Any message we receive would come from a society whose technology was far beyond our own. After all, they were able to transmit an intelligible signal powerful enough to reach across the cosmos. And so I believe that whether or not they were still around, what they had to say would be enormously interesting — and possibly useful in ensuring our own long-term survival.